Winter is an eventful season. Snow in Sierras and Cascades, storms on the coast, rain in the Bay. 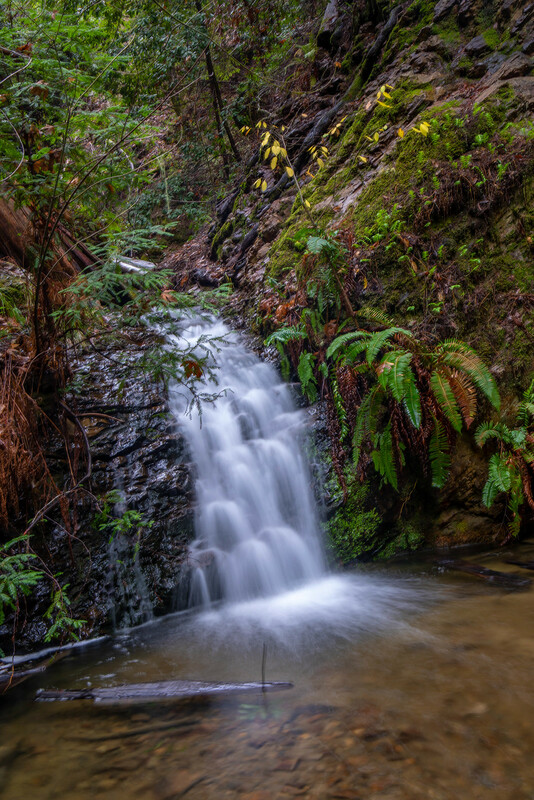 And when it starts to rain the Bay Area, the best thing to do is go hike waterfalls. 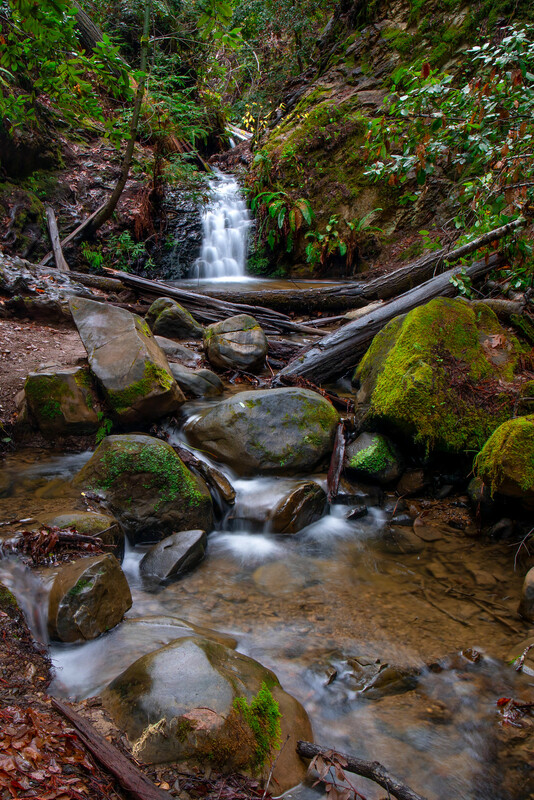 North Bay has its jewels, as well as Mt.Diablo. 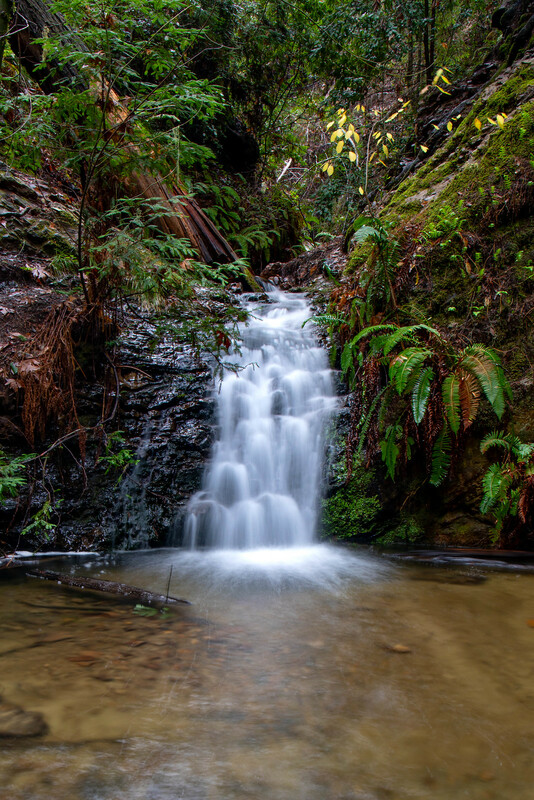 Peninsula has Big Basin famous Berry Falls and other smaller falls. 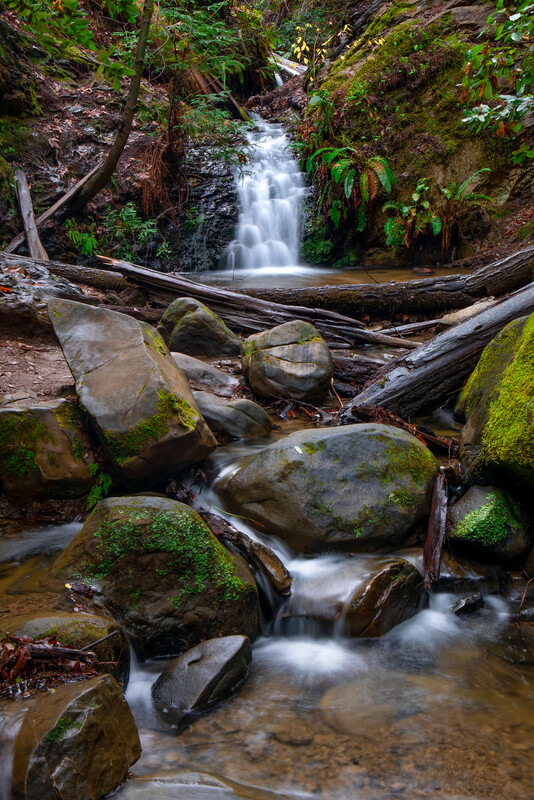 But the more remote Portola Redwoods State Park also has a waterfall that could not be missed. 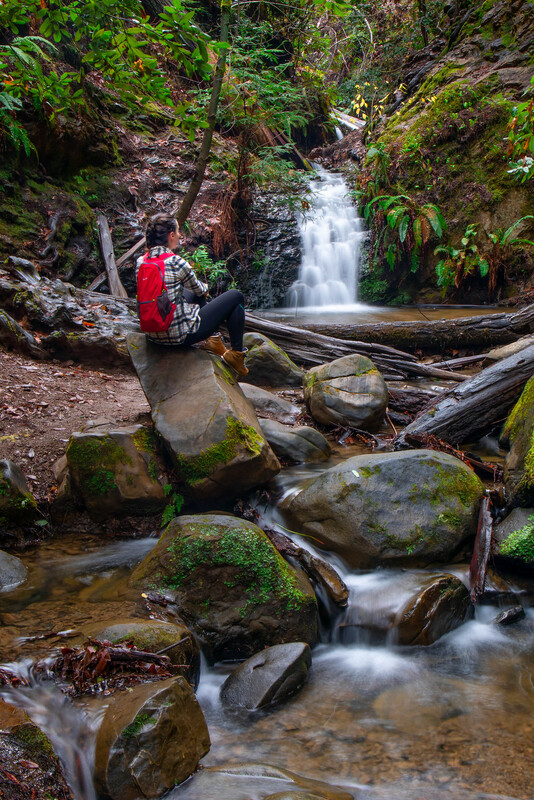 The trail is short, less than 2 miles out and back, but requires at least one creek crossing. 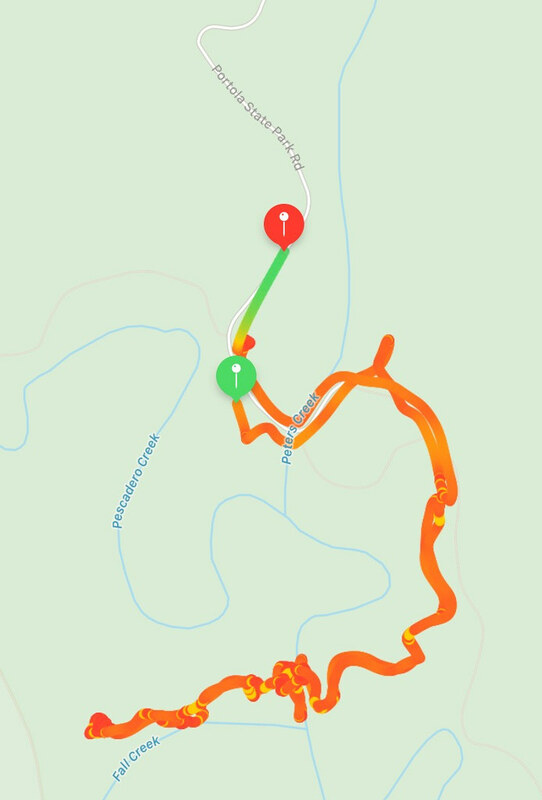 We’ve hiked right after the significant rain, the creek water level was higher than during the dry months, but it was relatively easy to cross. The trail after the crossing had few small streams that weren’t deep but made hiking muddy. 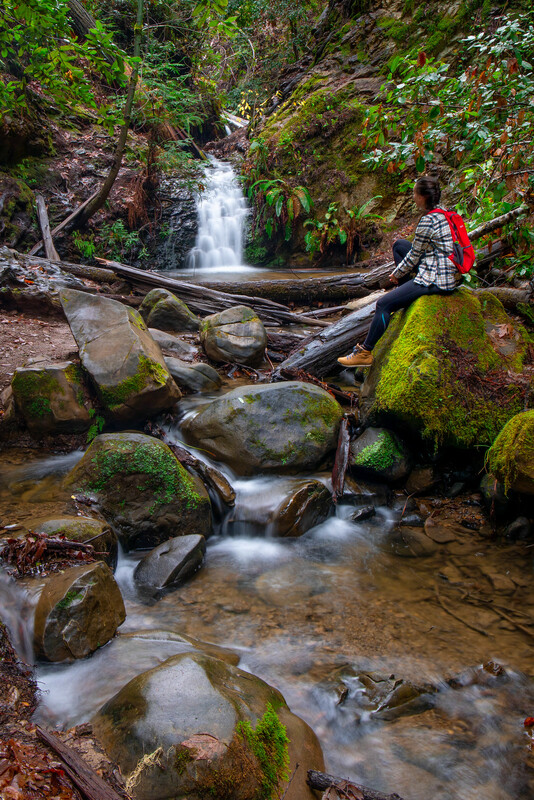 After less than a mile, Tiptoe Falls will be a pleasant surprise. It’s higher than I expected and way more interesting than a picture could show. 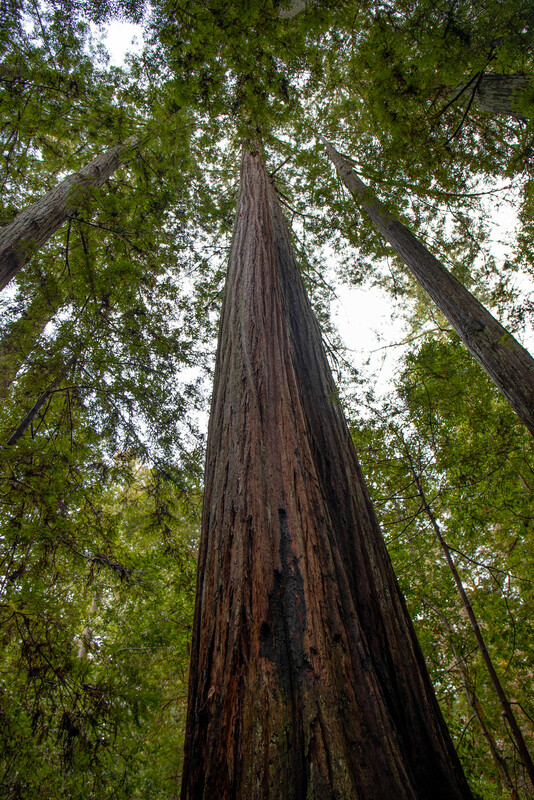 Portola Redwoods State Park itself has a lot to offer: quieter than Big Basin State Park but with the equally beautiful old redwoods groves, miles and miles of trails. And the most important, no crowds! 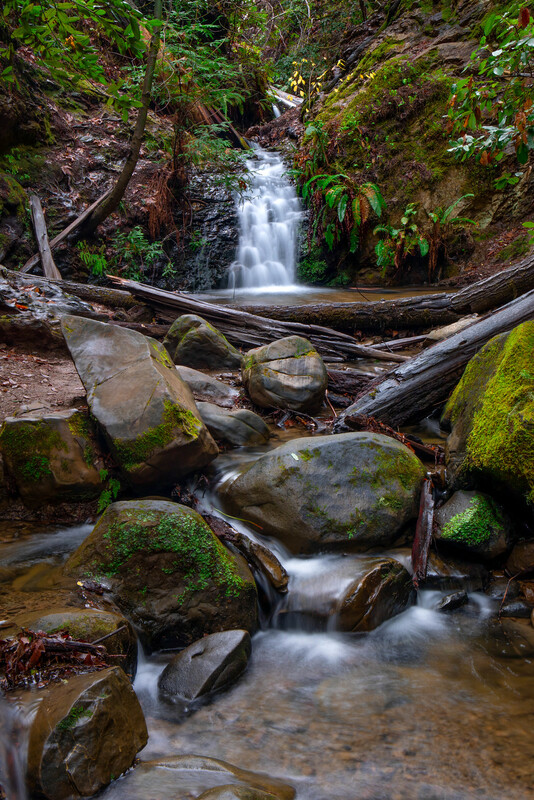 Trail from the visitor center to Tiptoe Falls and back is less than 2 miles. There is a $10 daily entrance fee per car. They also accept Golden Poppy Vehicle Day Use Annual Pass. 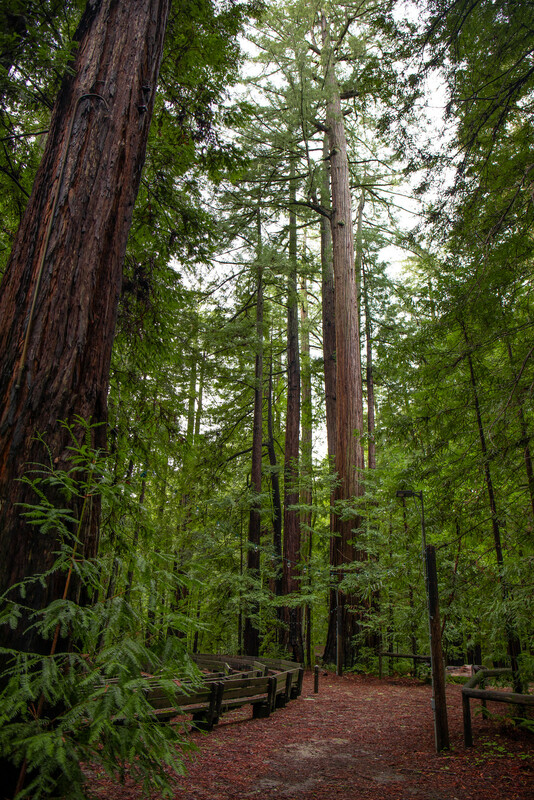 Park has an amazing campground!